The partnership aims to boost the retirement plan business of its independent advisors. 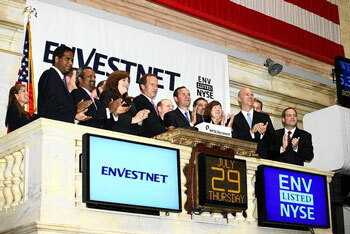 Wealth management provider HighTower said Wednesday that it added Envestnet Retirement Solutions to its technology platform, giving its independent advisor partners a new tool for growing their retirement business. A recent TIAA-CREF survey found that just 35% of investors are saving in an IRA or are working with an advisor. Plus, few — 32% — have calculated the yearly income they need for retirement, and only 12% have money in a health savings account. The ERS retirement platform helps advisors manage regulatory, technology, data and investment requirements of retirement plans, including services for plan participants, sponsors and institutions, according to Envestnet. HighTower, which is led by CEO Elliot Weissbluth, offers advisors access to several custodial and third-party platforms. — Check out HighTower Grabs Merrill Advisors With $800M in Florida on ThinkAdvisor.